Home / Team Management & Groups / How do I toggle Agent & Supervisor Permissions for FAQ and Bulk Edit access? 1. Navigate to Settings > Organization > Permissions. 2. Under the ‘Agent Permissions’ and ‘Supervisor Permissions’ areas, toggle the ‘Can edit FAQs?’ and ‘Allow bulk-edit of Issues’ options as needed. If you set the ‘Can edit FAQs?’ switch to YES, Agents/Supervisors will be able to edit FAQs. If you set the switch to NO, they will not. If you set ‘Allow bulk-edit of Issues’ to YES, Agents/Supervisors will be able to bulk edit Issues. If you set the switch to NO, they will not. 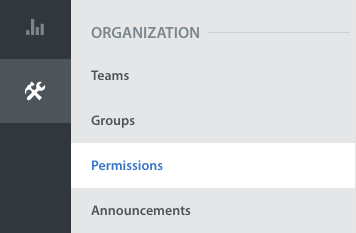 Please note that by configuring these permissions, you are editing for ALL Agents on your team.